Order Online $35.00 per box (24bag) plus $9.85 shipping fee with post office priority mail. Konjac pasta is traditional Japanese foods called shirataki noodles or konnyaku. Konjac foods, translucent and gelatinous, have no discernable taste but absorb the dominant flavors of the soup or dish to which they're added. Konjac foods have no flavors but absorb any they're with, like tofu will blend wonderfully and absorb flavors. They're supposed to absorb tastes of sauces as well. bowl. Add mushrooms, cherry tomatoes, olives, parsley and basil; toss gently, season with salt and pepper to taste. In a large bowl, stir vinegar, mustard, salt and pepper until smooth. Add Konjac pasta, celery, green pepper and onion. Toss to coat well. Refrigerate covered for at least two hours to blend flavors. Gently mix all ingredients in a large mixing bowl. Refrigerate until cold, allowing the mixture to set for an hour before serving to enhance the flavor before serving. other ingredients and mix well. Then salt and pepper to taste. 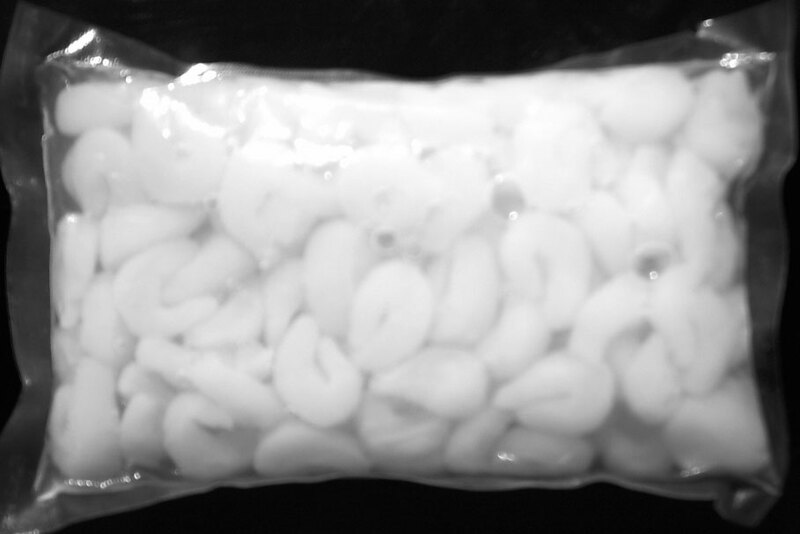 Drain and rinse Konjac pasta with cold water. Transfer to a mixing bowl and toss immediately with the olive oil. Add vinegar and toss again. Add the olives, oregano, and pepper. Toss again. Drain and rinse Konjac pasta with cold water, then drain and add olive oil. Add remaining ingredients. Add onion and red wine vinegar to taste. Drain & rinse Konjac pasta under cold water. Set aside. pepper. Pour over the Konjac pasta and salt & pepper to taste. Toss well just before serving. Drain and rinse Konjac pasta. Add vegetables and dressing to the pasta. Drain and rinse Konjac pasta with cold water, drain again. parsley, chili powder, salt & pepper to taste. Pour over vegetable mixture. Stir in Konjac pasta, sprinkle with sunflower seeds and toss. Chill.